Let me start out by saying, yes..You're right. I was (and still am) attracted to this sweet spin cycle, because it's PINK! I mean, how much girlier can it get? 🙂 Hehe. Our apartment is very "Old School Miami" with bright pastel color blocks, palms and wicker. Alright, so first things first. If you are looking for something top of the line, complete with all the bells and whistles and that will be virtually flawless..Keep on lookin' or perhaps even a gym membership would be better suited for your needs. NOW…If you're like me (just a beginner) and looking for something that will get the job done, but can handle a few flaws…Read on! I wanted to write a review, as I feel the majority of "so-so" reviews given on amazon are unjust. 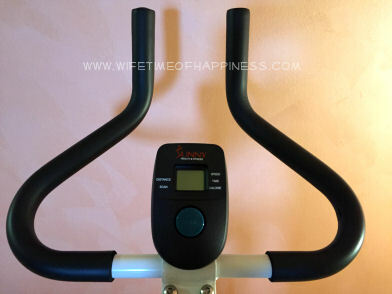 If you are unsure on what to expect in a spin cycle versus a standard exercise bike, a quick search on Google or YouTube will help explain what you should expect from the differing equipment. That being said, within the past month or so of owning the Sunny Health & Fitness P8100 – I have absolutely gotten my money's worth and more. Owning my own spin cycle has given me much more freedom not only to work on my own watch, but at my own pace and of course…Can't beat the privacy! Let's take a look at our new Sunny Health & Fitness P8100 Spin Cycle! Now let's remember – This is a spin cycle. Not to be confused with a standard exercise bike. I had come across a review about the "bear trap like pedals" haha. 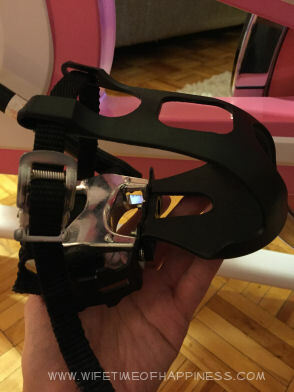 This pic is a quick glance at the pedals on your spin bike: I am a size 5 shoe and my husband is a size 10…The straps adjust nicely to each! The seat is uncomfortable and those who have reviewed stating so, are absolutely right. 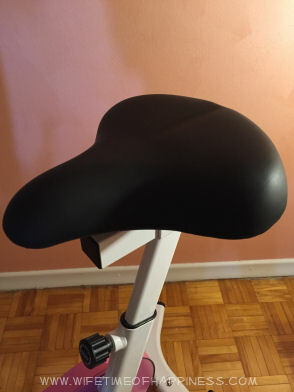 I would definitely recommend a new cushioned seat cover, especially if your spin cycle will be used regularly, or any longer than a 10 minute period. The computer functions easily with no confusing settings or instructions. 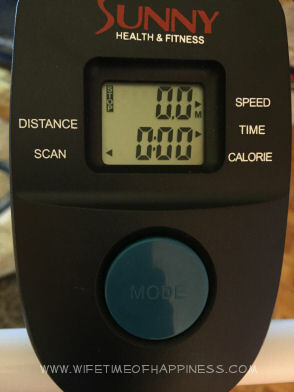 Simply press to either "scan" through the options while you spin, or pick a standard selection (such as calories, distance or time) to keep it on. The scan feature is my favorite! Please come join me over on YouTube for my full review! We are also on Facebook: Wifetime of Happiness – I look forward to seeing you!! 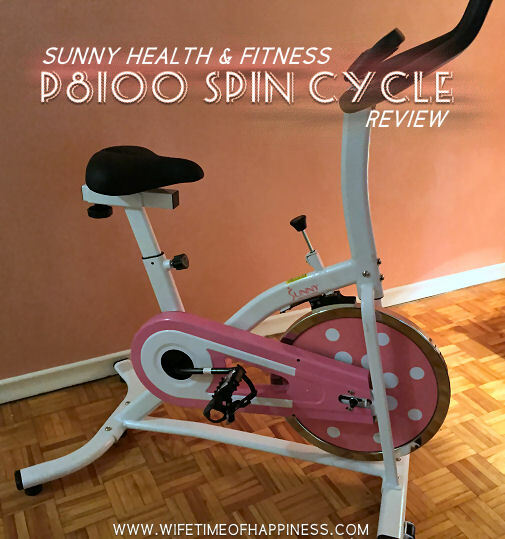 This entry was posted in Health & Wellness, Product Reviews and tagged follow, P8100, P8100 Spin Cycle, spin bike, spin bike review, spin cycle, spin cycle review, subscribe, sunny health & fitness, sunny health & fitness spin cycle, youtube reviews.